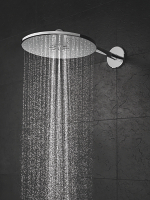 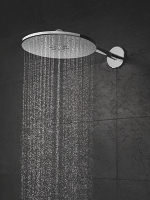 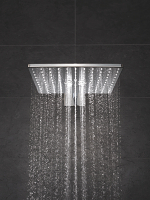 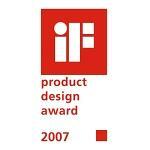 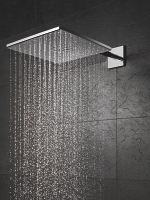 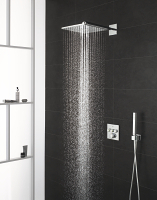 GROHE head showers come in all shapes and sizes to match your design and budget requirements. 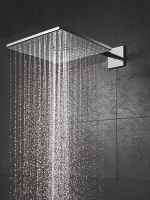 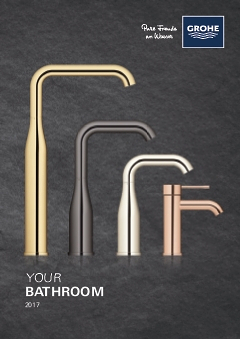 All designs feature GROHE DreamSpray technology for a luxurious full spray and unbeatable showering enjoyment,while SpeedClean shower nozzles prevent the build-up of limescale. Available on all Rainshower metal head showers, our new and improved GROHE PureRain Spray has 50% larger and softer droplets for a more luxurious showering experience. 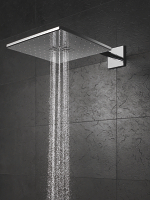 With GROHE DropStop technology, head showers no longer drip after you have left the shower.